Monday Poll: Are Your Going to Take T-Mobile’s ETF Deal and Switch Carriers? If you watched any amount of TV this weekend or took a glance over at the sidebar of this site, you more than likely ran into a T-Mobile advertisement that talks about their new ETF-killing program. Seriously, these ads are everywhere, right now. 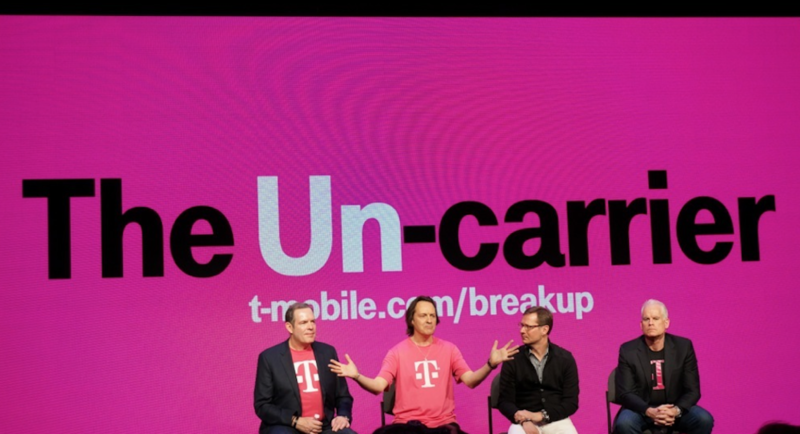 Introduced during CES as their next UnCarrier movement, T-Mobile wants to pay the Early Termination Fees (ETF) from your current carrier to have you bring your business to them. It’s a bold move, though bold moves are exactly what we expect from a company led by a man willing to crash an AT&T party during CES and then call their CEO of mobility “fat” during a press event. Bring your business to T-Mobile, and they’ll pay up to $350 in ETFs per line once you sign-up for service and send them the last bill from your previous carrier. Then, trade in the phone from your previous carrier to earn up to another $300. You have to sign-up for a postpaid Simple Choice plan and also buy a device. They will only pay ETFs from AT&T, Sprint, and Verizon. My question to you today is – are you going to take their offer and switch carriers? According to T-Mobile’s numbers, they had 4.4 million new customers join their UnCarrier way of life, so you certainly wouldn’t be alone. Are Your Going to Take T-Mobile's ETF Deal and Switch Carriers? Yes, I plan to switch. No, sticking with current carrier.